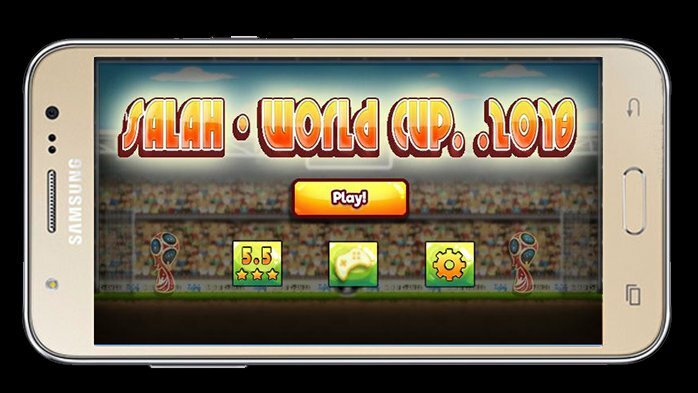 If you are a fan of football sports then certainly cannot miss the game World Cup Soccer Fifa 2018 extremely fun. Football is a very attractive sport and is loved by so many people around the world. So there are a lot of game developers inspired by this sport. In particular, there are games such as Pro Evolution Soccer and Fifa Online 4. These are all very attractive games and have high-end 3D graphics. However, the World Cup Soccer Fifa 2018 has new and more fun gameplay. 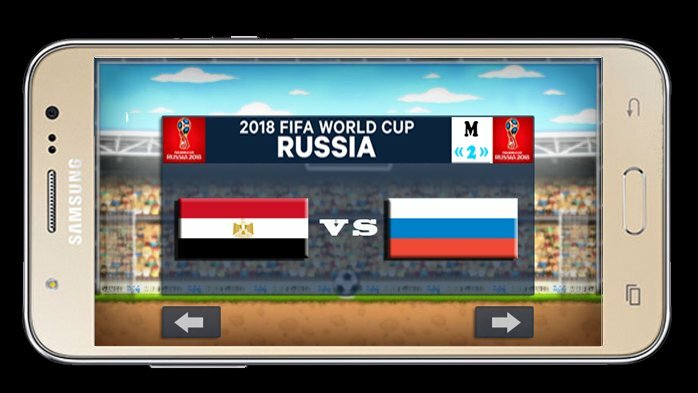 World Cup Soccer FIFA 2018 is the next product of the publisher M R F Games. 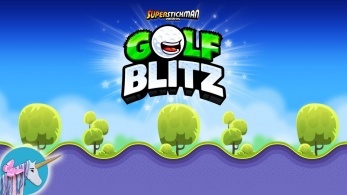 In the past, this publisher has had many other attractive and successful games in the mobile gaming market. 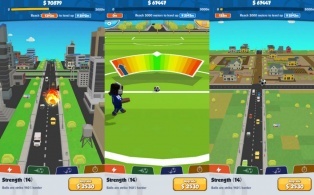 Currently, the game is being distributed free on the Android operating system; you can download the game by the path at the bottom of the article. Now let’s find out more about this new game. 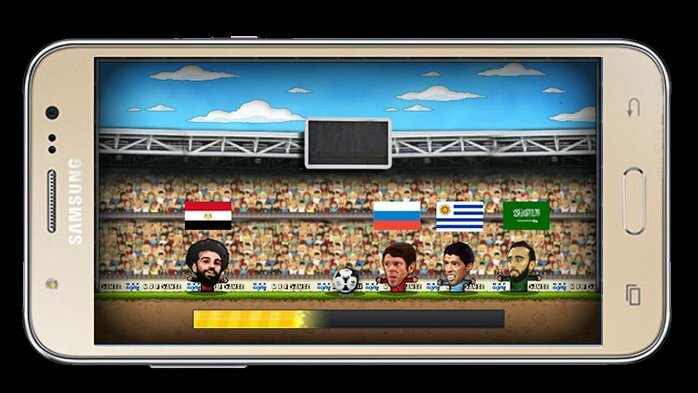 World Cup Soccer FIFA 2018 for Android is a very exciting and fun simulation game. Come to the game; you will be participating in the World 2018 qualifiers with a lot of teams from different countries. Specifically, you will face the teams Uruguay, Russia and Saudi Arabia. Unlike the current football games, in every match, you will only own a player on the top. 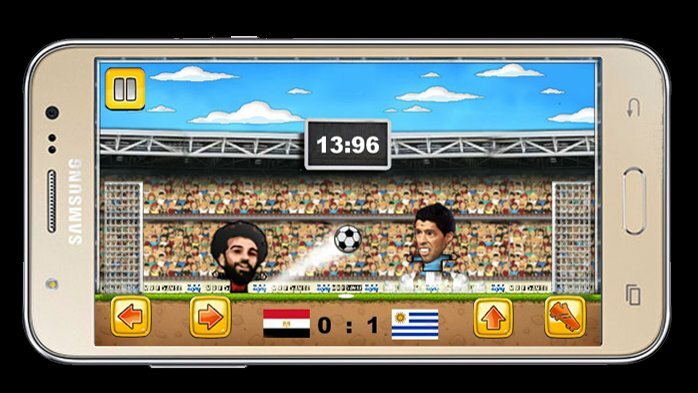 With this game, you will be playing the famous player Mohamed Salah playing for the Liverpool football club. Each match will have a certain time; you will have to fight and score many goals and goals. At the same time, you will have to guard carefully to neutralize the attack of the enemy. Of course, winning will be on the team scoring more goals. Try to win and advance to the next round to become the champion. The game has very fun gameplay and brings a lot of entertainment experience for players. So the game’s control system is extremely simple, and you can easily get used to it. On the left side of the screen are two virtual keys that help you move forward or backward, make good use of these two virtual keys to give you the right move tactics. On the right side of the screen are two virtual keys and jump up. You can use these two buttons to hold attacks and score more goals. 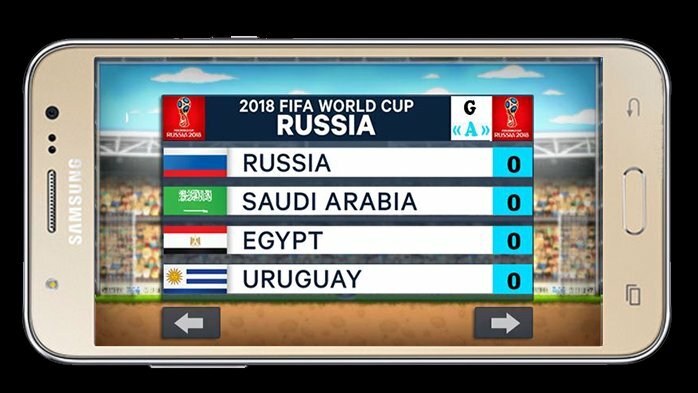 World Cup Soccer FIFA 2018 for iOS has a very fun and attractive graphic design. The images of the players, the pitch are described in chibi style extremely cute. Along with that, the cheering effect of the crowd in the audience will make the game always fun. Surely, you will have very comfortable hours with this game. We provided the bottom path for the Android operating system. You can download the game to participate in the game extremely fun. Sorry, the game is not yet available on iOS, players of this operating system will have to wait a while more to be able to download.